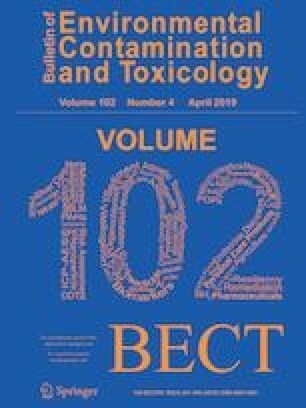 This paper presents the results of long-term post-Chernobyl investigations of 134Cs and 137Cs activity concentrations in multifloral and chestnut honey sampled in northwest Croatia. For both radionuclides, the activity concentrations peaked in May 1986, decreasing exponentially until the mid-1990 s, when they fell under the detection limit for both radionuclides. After the Fukushima-Daiichi accident in 2011, the presence of both radionuclides in honey was detected once again. The ecological half-life was estimated to be 1.67 and 1.45 years for 137Cs and 134Cs, respectively. The correlation between 134Cs and 137Cs activity concentrations in fallout and honey was very good, indicating fallout to be the main source of honey contamination. The observed 134Cs/137Cs activity ratio in honey was similar to the ratio found in other environmental samples. The estimated collective effective doses for the Croatian population incurred by honey consumption indicate that honey was not a critical pathway for the transfer of 134Cs and 137Cs from fallout to humans.